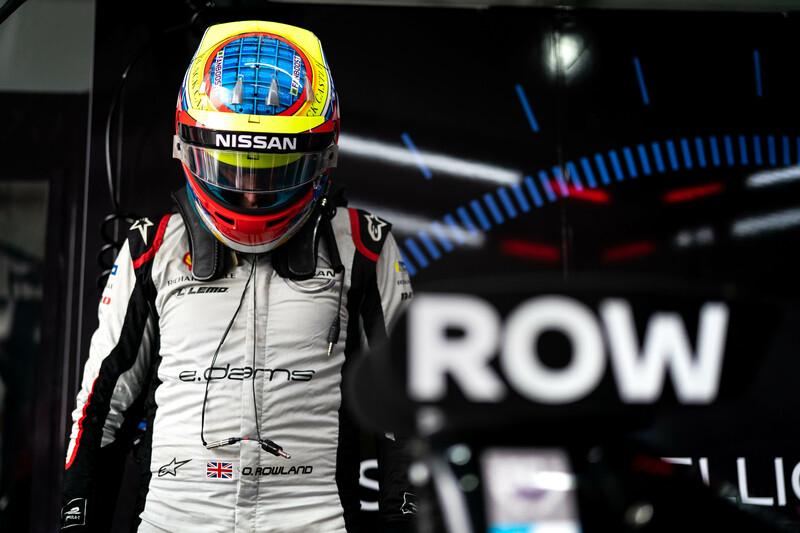 Oliver Rowland is confident Nissan will soon be fighting for victories in Formula E after a frustrating start to the 2018/19 season. Oliver Rowland believes it is just a “matter of time” before the Nissan e.dams squad records its first Formula E race victory. 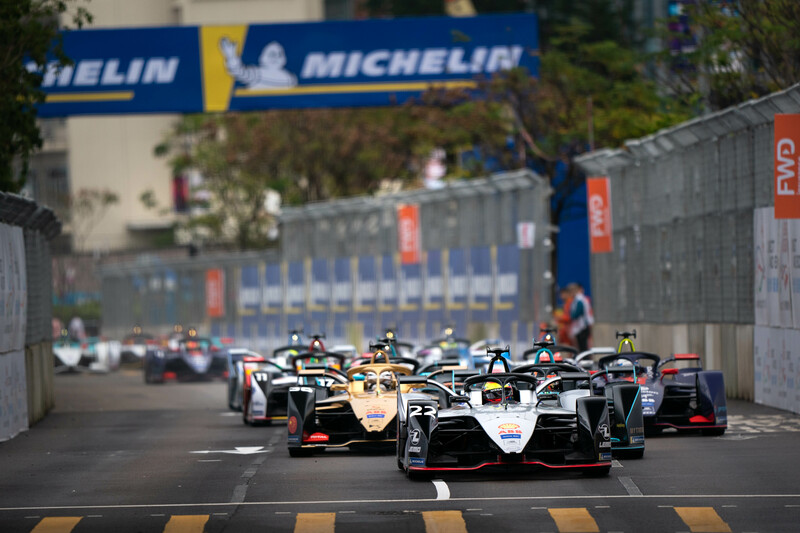 The Japanese manufacturer joined forces with the champion e.dams outfit for its maiden assault on the all-electric series, with former Williams Formula 1 test driver Rowland replacing Alexander Albon on the eve of season five to partner Sebastien Buemi. Nissan e.dams currently sits eighth in the teams’ championship, while Rowland is 15th in the drivers’ standings, having scored nine points fewer than Buemi from the opening five rounds. The 26-year-old insisted Nissan is yet to show its true potential this season and feels a breakthrough result is just around the corner. “We’ve had a car in Superpole every race, double Superpole in Mexico, so the car is clearly fast,” Rowland told Crash.net. “We’ve got a great team, they’ve won a lot of teams’ championships so it’s just a matter of time. While he has shown glimpses of his one-lap pace with a front-row start in Hong Kong, Rowland admits he has been left conflicted by a “frustrating” start to the 2018/19 campaign in terms of his race results. A mistake in qualifying left Rowland battling from 14th on the grid in Santiago, before an energy miscalculation cost the team a big haul of points in Mexico, and an accidental press of the full-course yellow speed limiter button ended the Briton’s chances of victory last time out in Hong Kong. “I think the first couple of races we weren’t anywhere near our optimum,” he explained. “Since then they’ve done a really good job with the performance of the car. “In Santiago it was my mistake in qualifying and Seb led the whole race and ended up crashing. In Mexico we were both third and fourth and it was just a small error. You wouldn’t really call that luck but it’s not very often that happens at this level of racing. It’s quite rare. “In Hong Kong I was leading and what happened with the full course yellow button in the first corner, I think I could do that one million times and it would only ever happen once - that was definitely a case of bad luck and bad timing. Rowland is confident about his chances heading into this weekend's Sanya E-Prix - where he says he will not have to play “catch-up” against the rest of the field - and believes the track’s combination of slow speed corners and long straights should suit Nissan’s IM01 challenger. Asked if he thinks he can become the sixth different winner from six races, Rowland replied: “Why not? First of all I just need to focus on the job and I want to score some good points this weekend. “Seb is obviously going to be strong - I’m sure he will bounce back from the last couple of weekends, he is focussed and determined and everyone knows how good he is so he will be right up there.